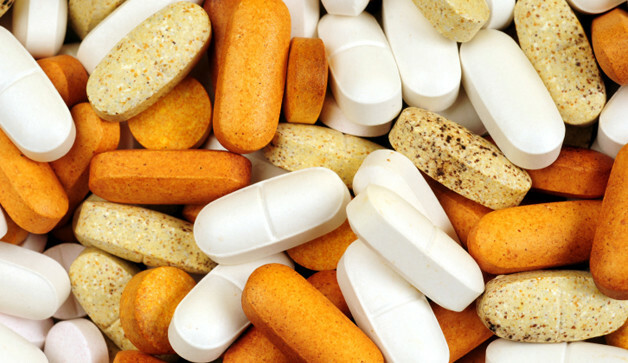 If there’s one major area of controversy in bodybuilding, it’s supplements. You have bodybuilders that swear by them and you have those that feel the entire industry is total BS. Not to mention, the ads can get carried away with the claims they make and the hype they create. Then there’s the general public that is convinced every supplement on the market is loaded with steroids. Part of my history is that I worked in the retail supplement industry for about 20 years. I can still remember customers coming in and asking if this product or that product contained steroids, or if we sold steroids. Selling anabolic steroids openly in a mall would be a real stretch, we never did that! I learned early on that one of the keys to understanding supplements and making wise choices was to learn to look past the ads. Never buy a product based on the hype – never! Look at the ingredient panel – what’s in it, does the compound have any research backing it, and are the ingredients presented with clear dosing – in other words, there should be no proprietary blends and there should be 100% label transparency. Tip – Never make you purchasing decision simply based on the name and product description – that’s the part of the label that’s specially designed to sell the product to you. Also, don’t be swayed to buy a product primarily because your favorite pro bodybuilder is promoting it. Check the ingredients on the back of the label. Copy the main ingredient names and search for them on Google to look for reputable sources of information. Look for some scientific research backing their effectiveness. Each ingredient should be clearly listed with the dosing also clearly listed and the nutrient panel should reveal everything that’s in the product. Again, do a search on any ingredients you aren’t sure of, the product itself and even the company to build a clear picture of what the product real does. Let’s take a look at the supplements I feel are useful additions to any bodybuilder’s program, and how to stack them. These are the kinds of supplements that will actually work to help increase muscle growth. Fundamentally, this is a supplement that can’t not work. Because it’s protein – the most important macronutrient responsible for increasing lean muscle mass. And powdered form is simply a convenience product that allows you to take in quick, easy to make and easy to consume quality protein and calories, helping you hit your daily protein goals. That’s all this supplement is. 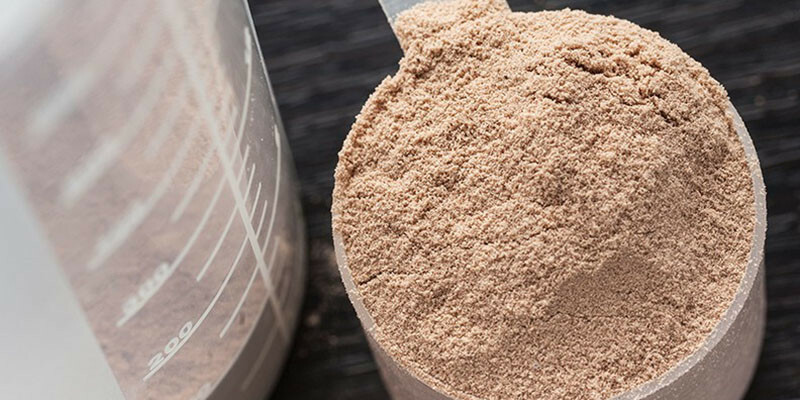 The best powders use premium quality protein sources such as whey and casein or a combination of the two. Whey is known as a quick digesting protein whereas casein is a slower digesting protein. 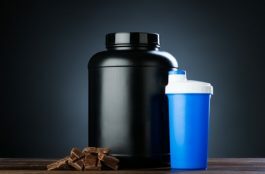 I personally don’t get too caught up in that because really, the only timeframe where that’s going to matter is when you sleep – you want a slow digesting protein to offset the catabolic processes and keep protein synthesis elevated during a sleep cycle. I swear by protein powder. If I could only use one supplement for the rest of my training life it would be whey protein powder. Having spent 20 years in mall specialty retail, I know what’s it’s like to work alone all day – lunch and snacks became a protein shake and a bar – of necessity. I simply didn’t have time to make up a meal and eat it – I was the only employee there. That’s the thing, many of us lead busy, hectic lives, whether it’s work or school or family commitments, or all of the above – a protein shake in a case like this can be a godsend. I advocate 1 to 1.5 grams of protein per pound of lean bodyweight (at least) evenly divided throughout the day. In some cases, depending on the weight of the individual, that can be a lot of protein. Adding in 2-3 shakes a day can make a big difference in meeting your requirements. The key is to see a protein powder this way, instead of thinking it’ll work muscle magic and also, quality whole food protein should be first with shakes used to supplement your whole food meals. I can remember when the original creatine monohydrate first came out, it was called Phosphagen and you had to mix it with grape or apple juice. It didn’t mix well and it tasted worse. You bet! It worked very well indeed! It improved strength and dramatically enhanced muscle fullness. Through one of my retail supplement jobs, I had the pleasure of driving one of the originators of Phosphagen around as he introduced his new product (NO2) to the supplement industry. This was about a decade later. He recalled several stories about trying to get the major companies of the day to make creatine – no one wanted it. It had no calories, it had no protein, how could it be any good? They didn’t understand it and consequently really missed the boat. So what exactly is creatine? It’s not a steroid, contrary to Congress. It occurs naturally in foods such as meat and it is part of the ATP energy system – the cellular energy system that fuels your muscles. In supplement form, it provides a more concentrated amount than you could otherwise get from food sources. Of course, creatine is well-known for such benefits as promoting muscle growth, strength and endurance. It will also hydrate muscle cells and create muscle fullness. It does this by pulling water into the muscle cells, so be sure to drink plenty of water while on this product. Since the early days, creatine has seen a multitude of “new and improved” versions come out, all meant primarily to enhance absorption and solve any side effects, such as cramps or bloating. But really these new versions are just ways to look for new marketing spins to increase sales. For me, the original creatine monohydrate still works best and has the most scientific backing. Creapure ® is the best monohydrate out there, it’s micronized for better absorption and it is the best quality creatine you can buy. Branched-Chain Amino Acids (BCAAs) have a unique branched structure – that’s where the name comes from. The 3 BCAAs are: L-Leucine, L-Isoleucine, and L-Valine. These 3 amino acids are the main components of protein and account for over 30% of skeletal muscle tissue. When you consume protein (regardless of the source), it’s broken down in the liver into its amino acid components. From there, the liver delivers the aminos to your muscles for repair and growth as well as numerous other bodily functions. However, BCAAs bypass the liver and go straight to your muscles, where they are used for energy in the absence of glycogen, building new muscle and promoting recovery. Always in most supplement company product line-ups and always suggested, BCAAs really came into their own when the role of Leucine and its impact on protein synthesis was first recognized. Imagine, here was a BCAA that actually played a major role in muscle growth! The use of BCAAs evolved to include during the workout consumption. When the Intra-Workout ( as this new category was called) drink first came out, I saw the value right away. I made my own over buying a pre-made version however. If you understand that training is catabolic and if you recognize the critical importance of recovery, the idea of getting a head-start on that process is huge! I primarily used BCAAs, some Creatine and some simple carbs in mine, at this time I was not using a pre-workout. My take on BCAAs, then, is to use them as part of an intra-workout drink, certainly if you use a post-workout shake (if you’re not, you should be) and your BCAA powder is unflavored, add some in! Some guys like to mix up a big water bottle and swig on it over several hours, that’s fine but don’t let it get in the way of your meals and shakes. To me, this is a supplement that everyone should be using but typically gets overlooked. Because they’re not flashy enough. After all, what does a multi do? It’s not going to add tons of muscle in two weeks, right? If your basic health is suffering, or you are lacking in key nutrients that may have an impact on such things as recovery, muscle contraction, protein metabolism, your results will suffer. If you want optimal results, you should have optimal health. I think of a multiple as health insurance. Here’s why – to assume you can get every nutrient you need in at least the minimum amount every day is, at best, a longshot. To be accurate, you would literally have to track every nutrient in everything you ate for the day, every day, and then – and only then – could you be sure you were hitting minimal amounts. That’s a lot of daily tracking, isn’t it? Take in a good quality multivitamin – it does not have to be a mega-dosed multi – and you no longer have to worry about it. Not an essential supplement for growth, but handy to aid with focus and intensity in the gym on those, hard days. They’re designed to give you energy and they do so quite well with any number of stimulant-based ingredient combinations. Some also contain creatine and are meant to promote the pump as well as provide a mental edge. Additionally, they combat fatigue and allow you to train harder, for longer. In these cases, they can make a big difference in your desire to train as well as the energy and stamina you have to train. I tend to only use these on a limited basis – Not every workout, I’ll use if my energy levels are low or if I train early morning, and they do make a difference in my energy and intensity. There are stim-free versions but really, you take a pre to get the energy and intensity. There are also pump-based products and while it’s nice to get a great pump, you don’t need one to build muscle. Used consistently, unless you have an issue with stims, a full-stim version can make a big difference in the intensity and quality of your workouts – really, that’s the bottom line, isn’t it. So the key when it comes to this very crowded market is to choose a product that provides extended energy with no real crash, along with focus, endurance, strength and a great pump. You have to wade through a sea of products to find the best ones and yes, you may have to use a supplement review site or go to a site with a good reputation and check out their reviews and use that as a starting point in finding the best choices. For me, beyond the energy and pump, I like to see creatine and BCAAs, and something for a nice mental edge. Also, I want to see full-disclosure labeling – no blends. So, how would you stack these products? Protein powder is to be taken 1-3 times a day in between meals, when access to a meal is hard or not possible at all. One serving should be post-workout. BCAAs – Take these with your pre-workout and as part of a intra-workout that includes creatine and a quick carb source (such as maltodextrin or dextrose, or both). You can also make up a big water bottle and swig on it during the day, or simply have a second drink about 4-5 hours after training, which may be smarter in terms of your overall eating plan. On off-days, separate your doses by 6 hours. Creatine – Add it to your pre-workout and take it as part of your intra-workout, on off-days take it mid-morning on an empty stomach. Multivitamin – Every day with breakfast. Take your pre-workout as directed, only when you train. To me, these are the “cornerstone” supplements that should be in every bodybuilder’s bulking program. There may be other supplements that do, in fact, what they claim, but these are the proven foundations.